A quick word of warning before we get into the review, this book will have you checking over your shoulder and may or may not turn you into a paranoid wreck – if that sounds like something you’d be into, carry on reading! 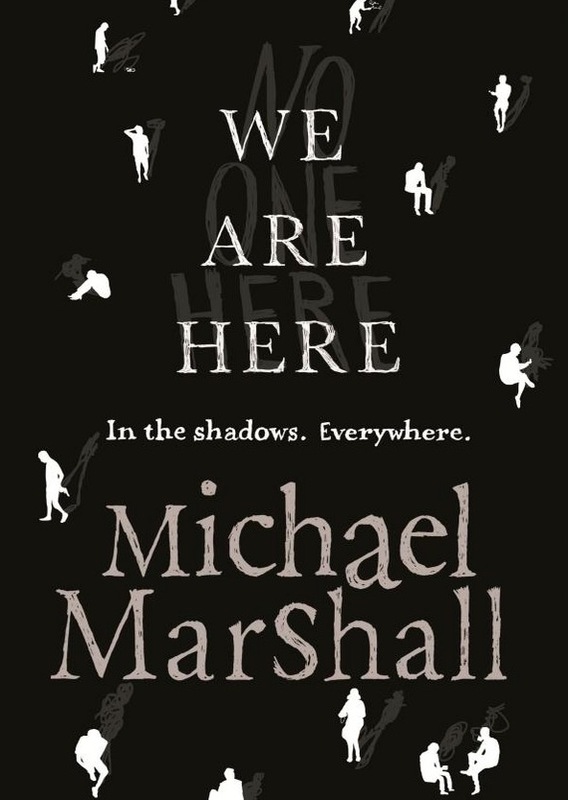 We Are Here follows two couples who seem to encounter the same surreal and supernatural “people”. We’re firstly introduced to David who, after a trip to New York to confirm a new publishing deal, he bumps into a strange looking man who proceeds to follow him. His face is unidentifiable and before David can do anything, the man hurries past and whispers “remember me”. Then we are introduced to John and Kristina who are trying to help an acquaintance. She believes that she’s being stalked by an ex-lover. As they start to feel uneasy and frightened, it soon becomes clear that all of these characters are being watched and tormented by the things that lurk in the shadows. They are the forgotten ones but that was all about to change. The reader is given both David’s and John’s point of view and due to the shift in perspectives and storytelling style, you’re often slightly confused about what’s happening. However, this creates so much suspense that it’s often hard to put the book down. There’s no doubt that Michael’s a great writer. There were times that I’d have to reread passages as they were so beautifully written, but every now there were times when the plot seemed to stall. A few tweaks such as shortening certain scenes and minimising irrelevant internal monologues would have made this story a much more thrilling read. A great tool that Michael employs is the element of mystery. Various characters with their own intentions and motives are introduced, however it takes the reader a lot of time and guess work to successfully piece them all together. You begin to mistrust every character and pick apart the familiar in order to find clues. The supernatural elements are fantastical but rarely goes outside the realm of possibility. Most people would be able to relate to the uneasy feeling of being followed or that items had somehow been rearranged or misplaced without explanation. We Are Here takes that uncomfortable feeling and blows it up until you’re feeling paranoid and on-edge, but in the best way possible.